Sean's eye is caught by Mary Kate Danaher, a beautiful but poor maiden, and younger sister of ill-tempered "Red" Will Danaher. We are committed to bringing you these rare and collectible titles. Trending at AU $8.80eBay determines this price through a machine-learned model of the product's sale prices within the last 90 days. We will advise next to title if item is not sealed. This is intended to be used as a guide only. Once you checkout, you are committed to purchasing that item. Pickup is not available. Australian Release Region 4. REGION 0/All Regions -Plays worldwide. Region Details as follows (DVD region shown in title). REGION 6 -China. John Wayne, Lauren Bacall, Paul Fix. 100% G ENUINE DVD RELEASE. It's our aim to provide great new and used products at a great price, along with great service. Photo(s) ─ show actural item received. PHOTO(S) SHOW 'ACTUAL ' ITEM CONDIION. Year: 2018. Embodying the virtues of courage, loyalty, resilience and righteousness, John Wayne brought an incredible depth of character to every role he portrayed on the silver screen. 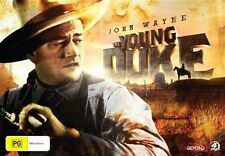 John Wayne The Duke Collector's Edition DVD Box Set. Secondhand DVD In very Good Condition. It is region 4. It works on all Australian DVD players. He was talented, driven, flawed, a friend of Ford's - and the subject of this compassionate biography. You are also entitled to have the goods repaired or replaced if the goods fail to be of acceptable quality and the failure does not amount to a major failure. 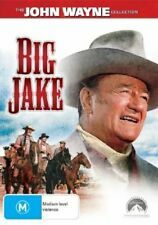 Hello and welcome to my online store Today on offer HOLLYWOOD LEGENDS - JOHN WAYNE - VOLUME 1 - DVD Brand New & Sealed please enlarge photos for a closer look Please See My Other Items For more DVD's. We source our products from major mainstream Australian distributors, taking care to bring you the most popular toys, movie titles and latest releases. We know you're keen to receive your order as quickly as possible. DVD is New & Sealed. More DVD Titles Available. Photo is actual Item you will receive. If you Require a. as proof of Sending your item. Trending at AU $10.92eBay determines this price through a machine-learned model of the product's sale prices within the last 90 days. Pictures are of the actual item. In excellent condition, no scratches or marks on disc. 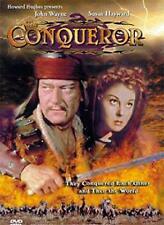 Riders of Destiny – John Wayne, Cecilia Parker, Earl Dwire. Sugebush Trail – John Wayne, Lane Chandler. Blue Steel – John Wayne, Gabby Hayes, Eleanor Hunt, Ed Peil. The Lucky Texan – John Wayne, Barbara Sheldon. REGION 0/All Regions -Plays worldwide. Region Details as follows (DVD region shown in title). SANDS OF IWO JIMA. STARS JOHN WAYNE. John Wayne. WITH JOHN AGAR, ADELE MARA & FORREST TUCKER. THIS DVD IS NEW & SEALED. 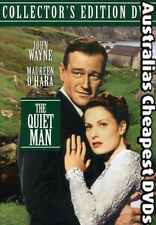 Angel and the Bad Man (1947) - Starring John Wayne & Gayle Russel! Featuring 8 movies including. The Big Trail. It is region 4. It works on all Australian DVD players. North To Alaska. More Movies and TV Show Box Sets at Baraka Trading. You are also entitled to have the goods repaired or replaced if the goods fail to be of acceptable quality and the failure does not amount to a major failure. The fine cast also includes Hardy Kruger, Red Buttons and Elsa Martinelli. 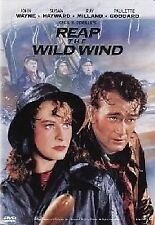 DVD John Wayne - Hatari. Title Hatari. Actors Elsa Martinelli, Gerard Blain, Hardy Kruger, John Wayne, Red Buttons. Format DVD. The Cowboys : John Wayne had brawled bareknuckle, gunned down desperadoes, fought jungle wars and piloted the skies. But The Cowboys gave him one of his juciest roles as a leather-tough rancher who, deserted by his regular help, hires 11 greenhorn schoolboys for a cattle drive across 400 treacherous miles. The Blu Ray may be unsealed and may have price stickers or residue on the cover. Year: 2017. 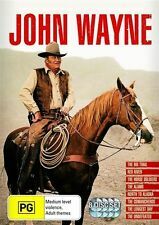 John Wayne DVD Boxset. John Wayne - Film Collection. Disc Format: DVD (8 Disc Set). Classification: PG. We will do our best to fix any issue as soon as possible. 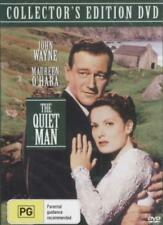 John Wayne, Chill Wills, Jack Kruschen, Maureen O'Hara. AUSTRALIAN DVD - SUITABLE FOR AUSTRALIAN PLAYERS. Genuine Warner Bros Release: SHE WORE A YELLOW RIBBON NEW DVD. Condition is Brand new. Sent with Australia Post Standard Service. Aboard the train, she encounters Marines Rusty and Dink, who don't know she is the author of the famous book, and who don't think much of the ideas it proposes. She and Rusty are greatly attracted, but she doesn't know how to deal with his disdain for the book's author. Be sure to. It is vital to our success. 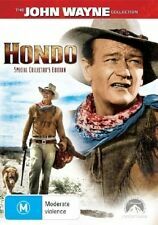 John Wayne --- Hondo DVD Very Good Condition . Hello and welcome to my online store Today on offer JOHN WAYNE A LIFE IN MOVIES - DVD disc is in like new condition no scratches please enlarge photos for a closer look Comes as pictured Please See My Other Items For lots more DVD's. Hello and welcome to my online store Today on offer Stagecoach - DVD Brand new & Sealed please enlarge photos for a closer look Please See My Other Items For more DVD's. JOHN WAYNE Collection. It's the ultimate John Wayne collection featuring 8 of the Duke's best War & Western films. 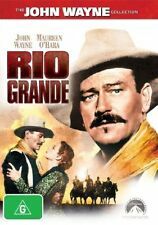 John Wayne is driving his cattle to Red River when his adopted son, Matthew, turns against him. Hello and welcome to my online store Today on offer Operation Pacific - DVD Brand New & Sealed please enlarge photos for a closer look Please See My Other Items For more DVD's.